The class involves hands-on practice so it is best if you wear comfortable clothes. If you have long hair it’s best to wear it back. you may pay cash, you pay at the end of the course. Do you charge more to come to our office? Yes! All of our courses are based off the American Heart Association Guidelines. 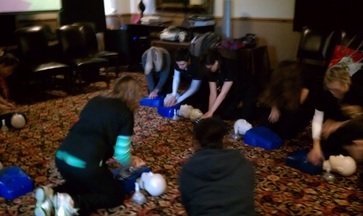 Our BLS for Healthcare Provider class is through the American Heart Association.. The CPR, AED, and First Aid course is based off the AHA Guidelines as well. It is 100% guaranteed! Will Austin CPR Experts come to my office or home to teach a class? How large of a group can you teach? Will I learn how to us a AED? Do you teach spanish CPR and First Aid? I took your class but lost my card. What do I do? Give us a call at the office and we will send you a new card at no cost if you toke the class with us.